On behalf of the South Coast Youth Clinic Partnership and the young people of Bass Coast and South Gippsland we would like to thank you for your kindness and generous donations to our Youth Clinics. 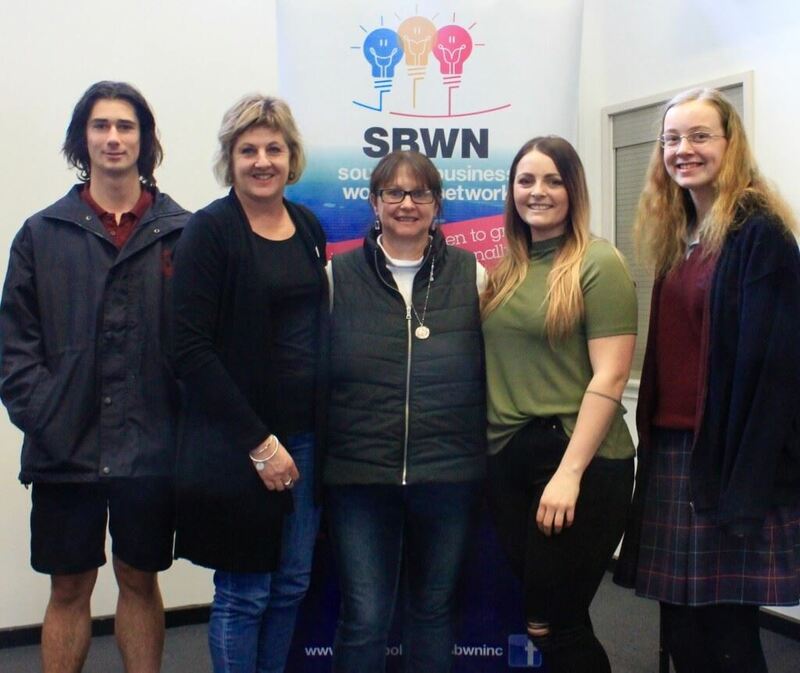 SBWN's community initiative for 2016/2017 has been a roaring success. This year SBWN has changed the community "give back" initiative. Instead of individual scholarships awarded to young women in the community, we embraced an opportunity to reach hundreds of young women and men around the region. We sponsored Rebecca Slavin, 2016 Bass Coast Young Citizen of the Year, to speak to secondary schools around the Gippsland region. The schools selected one or more year levels, ranging from year 9 to year 12, to attend her brutally raw and honest account of her recovery from Ice addiction. Her message hit home with many students, and Deanne Staley received many messages of thanks from both students and parents. The feedback was all positive, and it has been an honour to have helped Rebecca touch so many young lives. If we have helped save just one family from the heartache and heartbreak of Ice, we have succeeded. Rebecca Slavin ( Bass Coast Young Citizen of the year 2016 ) visited the college last Wednesday to discuss her experiences with drugs and alcohol. Year 10 and Year 11 students were captivated by her story. Rebecca grew up locally and came from a close and loving family but at the age of fourteen began to experiment with alcohol. At the age of seventeen she had her first hit of the drug Ice, and it was not long before she descended into the hell of severe addiction. Rebecca was totally honest about how she lied, stole and manipulated in order to feed her need for the drug. Not only did it affect her relationships with her friends and family, but she also became a victim of domestic violence. Associating with other Ice users resulted in Rebecca frequently being beaten. At one stage she was kidnapped and at another had a gun held to her head. She was frequently hospitalised and her heart stopped for a short time - she had experienced death. However, the drug held such a fierce grip on her she went straight back onto it. As confronting as her story was, the important theme was the message of hope. Rebecca eventually attended over a year of rehabilitation and managed to fight her demons, re-learning the interpersonal skills most people take for granted and regaining a stronger sense of her own values and morality. Most impressive was the courage Rebecca showed in being able to share her experiences, including answering questions with candour that to others may have been invasive. 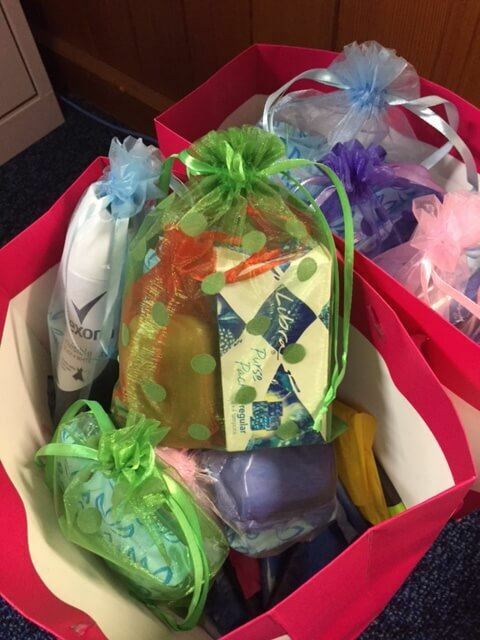 The college would like to thank Deanne Staley and the Southern Women's Business Network for sponsoring this event. Thank-you to Rebecca for reaching out to our young students and teaching them that no matter what the situation, help is always available. The Southern Business Woman’s Network are proud to present a ‘Day of Inspiration’ where people have the opportunity to grow personally and professionally, be educated by some amazing speakers and connect with others from a broad range of industries, businesses and backgrounds. This initiative was born from the current committee's very first order of business: our ‘Strategic Plan’. SBWN's Mission Statement was also reviewed, we introduced a new ‘Vision Statement’ and set some great goals for the year. One of which was to develop a ‘seminar’ to bring some celebrated keynote speaker’s to our region. The name of our event, A Day of Inspiration, was coined during a working group brainstorming session along with the tagline Grow, Educate and Connect. 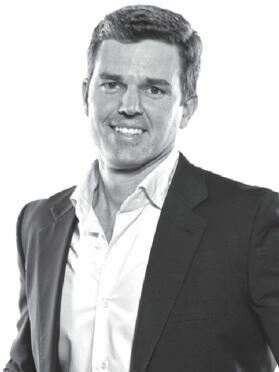 The event is set to attract some 150 to 200 male and female business owners and directors, plus a number of high level executives from the private and public sectors in South & West Gippsland and Bass Coast, as well as mums and dads, small business owners and everyone looking to uplift themselves, to grow, educate and connect with like minded people. Attendees will have access to four brilliant and powerful international keynote speakers, the likes of which we don’t have usually have access to in our region; this is a rare opportunity not to be missed. Parictipants will come away feeling empowered, inspired and personally uplifted. The probability of these 4 speakers coming together again at any one time is highly unlikely. 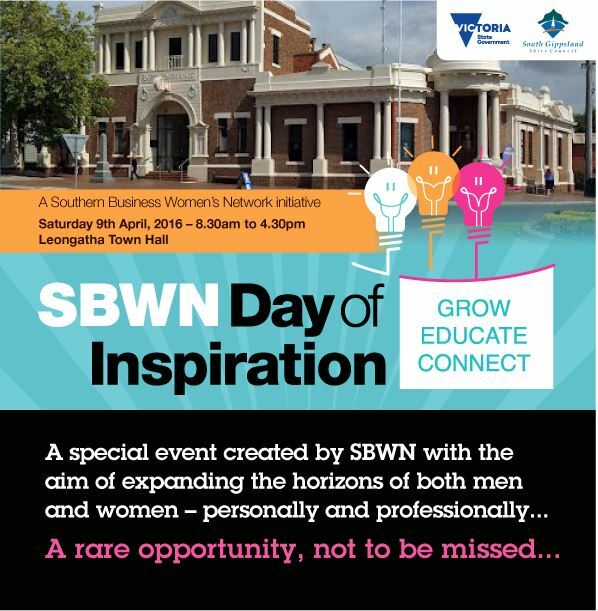 ‘A Day of Inspiration’ will be held at the beautiful Leongatha Town Hall on the 9th April 2016. It's an all day event commencing at 8.30 am. This amazing day will certainly put our spectacular region on the map. Catering is by Bret Sinclair, delicious foodie taste sensations are promised. We will be engaging sponsors for this event, so if you are interested, please contact Gillian Mertens or Julie Blackman on 5678 3388. Our committee are extremely excited and proud to be associated with our network and in a position to present this special day, join in the celebrations and most of all get connected! We don't do these events every year, make sure you book your place now! 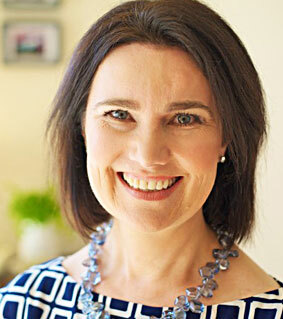 Thank you to Jane Benston for her fabulous presentation on Women in Leadership last month.